Eager to welcome in the Lunar New Year and yet feeling vexed over the stubborn, sticky and greasy stains that never really seem to go away? Fear, NO MORE! From the living room to your bedroom, toilets and even kitchen, every nook and cranny of your home can now be clean with GOO GONE! 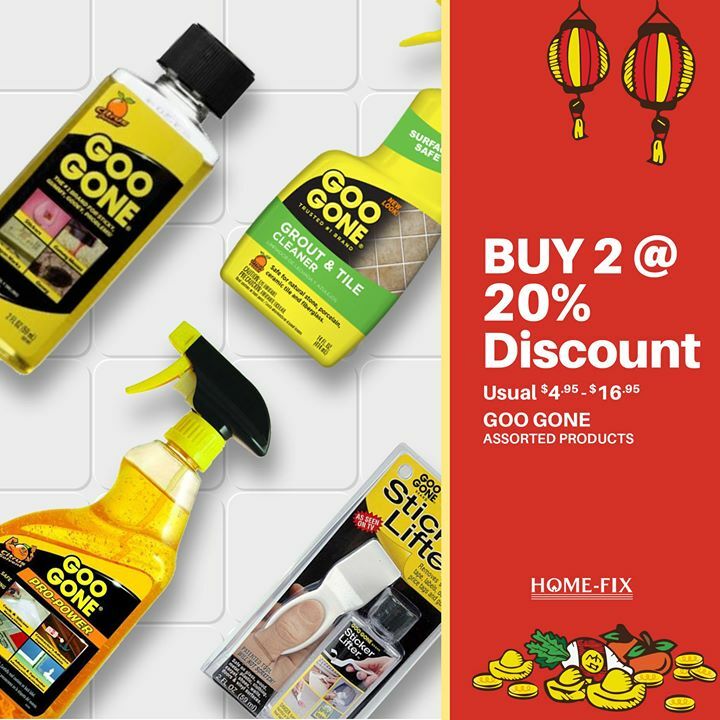 For a limited time offer, purchase any 2 Goo Gone products at 20% off. Hurry, grab yours today at any Home-Fix outlets before its Gone! Previous: [7-Eleven Singapore] Something’s baking in our ovens! Next: [Manekineko Karaoke Singapore] SIAO EH!